Happy Sunday lovelies, and I’m wishing you a very tropical happy Sunday as I’m blogging all the way from Antigua in the Caribbean! But it is Sunday, so that can only mean one thing over here on WTW. It’s my weekly colour inspiration and blog catch-up. Yay! This week’s colour is a the super punchy hue of Chartreuse… somewhere between lime green and an almost neon yellow. 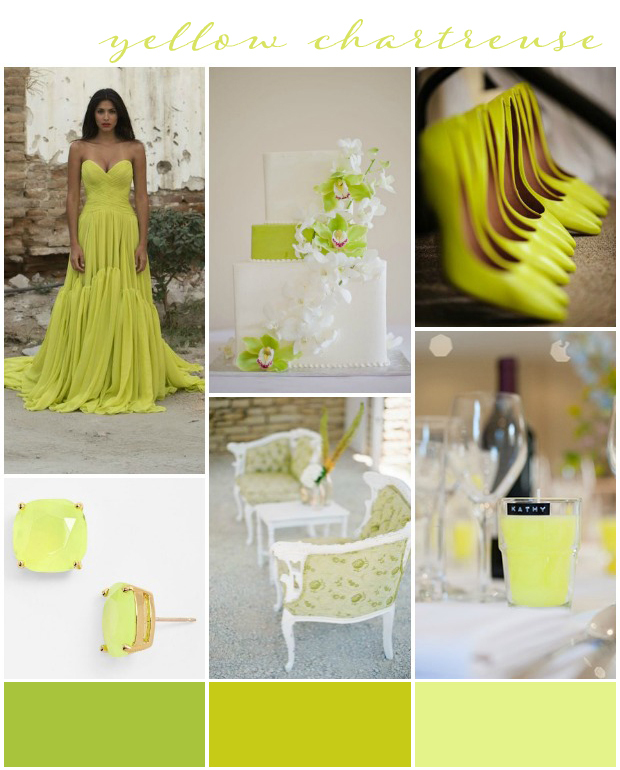 Chartreuse is such a vibrant and unique colour to choose for your wedding. Gorgeously rustic, think earthy neutral tones or super modern and clean! So what do you think? Is this a wedding colour you would consider? If you missed anything form the blog you’ll find all the handy catch-up links below. Enjoy!